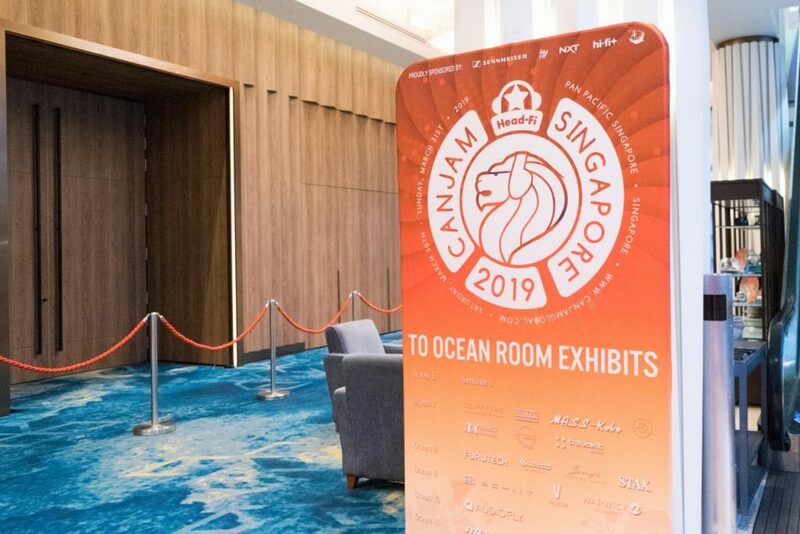 As it continues to be year after year, CanJam Singapore 2019 was a wholly exhausting, exhilarating thrill tide. There is nothing quite like indulging in a hobby as community-fed as audio, but being able to share it with the men and women who devote themselves to the craft is spellbinding all on its own. These are the ones responsible for the gear, the hobby and – ultimately – the crowd, and I can’t thank them enough for generously sharing their time, knowledge and courtesy. To all manufacturers, reps, consumer service agents, etc., you all deserve a huge pat on the back. Of course, I mustn’t forget the evergreen CanJam Global team. They’ve managed to pull off show after show – one always bigger than the other – without a hitch. Jude, Ethan, Joe and co., thank you for giving all of us a platform to share our common love. As you can probably tell from the title and the article, the show was riddled with hybrid in-ear monitors – whether the traditional BA+DDs or with the newcomer e-stats thrown into the mix. There was a healthy mix of budget-minded and flagship offerings as well. And, I’m glad to report that on both fronts, there’s been a huge uptick in signature variety than there was last year. So, in order to highlight that, I’d like to introduce a brand new segment known as The CanJam Cup! The CanJam Cup will highlight what I think are the most noteworthy products in a series of distinct categories. Technique Magnifiqué highlights technical performance, Do-All Good-All will showcase the all-rounders, Viva la Value will give you the most bang for your buck, and Spectacular Sensations chronicle the most captivating or unique listening experiences I had at the show. In addition to the four above, I’ll introduce a special, one-off category every year to any product(s) of my choosing. Finally, it’s important to note that these winners were picked strictly from the products I heard at the show. There may’ve been others I did not get to hear, but I’m human after all. Without further ado, here are your champions! Revisiting 64 Audio’s U12t with a fresh set of ears (and a balanced cable) offered a more insightful experience than the one I had in 2018. Behind the U12t’s versatile, unassuming, smooth-neutral sig were impressive levels of resolution, headroom and finesse. Tracks with dynamic range were realised to the fullest, and confirmed the U12t’s surgical (yet musical) precision – a reference IEM that wets transients just enough to be a capable all-round listening piece as well. Vision Ears’ Elysium delivered some of the best individual responses I heard at the show. Its bass was an accomplished all-rounder, managing to sound taut, full-bodied, resolving and natural in tone all at the same time. The midrange too delivered excellent emotionality and depth without compromising clarity. And, the top-end had some of the best clarity-to-body ratios I’d heard from electrostatics yet. Now, how all that comes together – as well as the rumoured MSRP – is still up for debate. But, I reckon the Elysium is an outstanding achievement, as well as an engaging listen, regardless. Sony’s IER-Z1R was best-in-show as far as I’m concerned in stage expansion, stability and organisation. Perhaps FiR Audio’s mind-boggling tubeless technology is the only other in contention. But, in terms of sheer resolution, layering, detail retrieval and imaging precision, the IER-Z1R checked all those technical boxes with ease. And, its marvellously-executed low-end must be highlighted as well. My personal preferences would request a bit more wetness and warmth along the lower-mids. But subjectivity aside, Sony’s new flagship is worth any audiophile’s attention for technique alone. Campfire Audio’s Solaris (like the other two in this category) provided one of the most enjoyable listening experiences I had at the show. There’s a real joy in shuffling through random tracks of varying genres, styles and production qualities, and being greeted each time by heaps of clarity, impact, smoothness and air. Solaris constantly fired on all cylinders with rhythmic drive and graceful finesse. The engineer in me did yearn for a touch more midrange body, but by the very first track, his head was bobbing along too. That’s when you know you’ve done a well-balanced, all-rounder sig right. My Lime Ears Aether R listening experience was – above all – one of relief. With their new flagship, Emil and co. have successfully pushed technical performance up a notch, without compromising Lime Ears’ fun, airy and charismatic house sound. With all that musicality now comes palpable definition, admirable resolution and a stable, enveloping stage. Like the Solaris, it isn’t the warmest, most composed-sounding IEM, but that was never (and should never be) its M.O. The Aether R is a vibrant, snappy piece as exciting for crunchy guitars, snare drums and cymbal crashes, as it is crystal clear for the simplest acoustic arrangements. I believe the Aether R is a definite one-to-watch for the custom space in 2019. Noble Audio’s Savant II was one of the very last in-ears I heard at the show, and it ended up becoming one of the most surprising as well. Having been unmoved by Noble Audio’s previous duals, the Savant II possessed qualities that shook my ears out of their worn, almost-fugue state. The first of which was bass extension. Then, it was the emotionality and vibrance of the midrange. Whether it be electric guitars or soprano songstresses, the Savant II was capable of delivering the sweet and the dramatic. From Lucy Rose’s light, wispy falsettos to Incognito’s bravura horns, the Savant II delivered it all with naturalness, dynamism and headroom. Although Khan sits atop, I think this will be Noble’s dark horse in 2019. Year after year, CanJam Singapore consistently proves itself as the place to discover new, value-oriented gems. This year was no different, as my day began with the $300-stunner Rhapsodio Orla. The way it conveys drama and the ebb-and-flow of music through sheer timbre is riveting, especially given the solidity, weight and gusto that all those instruments possess. Completing the Orla’s signature is impressive treble extension, which adds the clarity, cut and stability that the monitor requires to shine. Again, it ultimately finds its weakness with more constant genres of music, like modern pop. But nevertheless, I didn’t hear a more jazz-oriented piece at the show, and I think Orla will truly make Rhapsodio’s 2019. What the Orla conveys through timbre, FiR Audio’s M2 accomplishes through technical performance. At S$799 (though that pricing is subject to revision), the M2 provides some of the best spatial performance in its weight class yet. Through their tubeless technology and atom, Bogdan and his team have crafted an in-ear monitor that sounds warm, smooth and forgiving without falling into the trappings of said signatures. To my ears, background blackness, stage stability and resolution are all outstanding, managing to make stereo tracks sound almost binaural at times. And, the physicality of those instruments combined with the M2’s rich, organic timbre makes it an easy recommendation to anyone looking for a monitor to drift away to. The M2 was a clear show stand-out, and it’ll be challenging hard for the value throne in 2019. RAAL-requisite’s SR1a provided one of the most speaker-like headphone experiences I’d heard yet. Without relying on contact-based phenomena like bone conduction or cup resonances, the music well-and-truly merged with the space around me to produce a more convincing sonic illusion. The speed and authority of those ribbon drivers delivered excellent dynamic range. Bass performance was particularly impressive in how it slammed despite being distant from the head. And, the timbre (or lack thereof) which it imparted towards instruments was earnestly natural. If I had any qualms, I perhaps would’ve dialled back the 4kHz range, or tried a different cup position to achieve that. Security on the head wasn’t ideal either. But that aside, the SR1a is laud-worthy for for its achievements in audacity and audio quality. FiR Audio’s M5 earns a spot here for very similar reasons. Attempting a trybrid is challenging enough, but one with atom and tubeless technology sounds like madness. Thankfully, FiR Audio have risen to the challenge and achieved admirable success. The entire frequency range boasted outstanding resolution, holography and precision. And, this was all without any tonal compromises along the way. Notes sounded chesty, full-bodied and organic, so they were never insubstantial despite the wealth of space around them. The low-end’s foundation aided there too. In fact, there were folks who felt the midrange was a bit too full – requiring more zing to brighten things up. But, as the pinnacle of FiR Audio’s spatial efforts, the M5 was indeed a spectacular sensation – transparent, vast and holographic in the most unique way possible. The first-ever special CanJam Cup goes to AAW’s Canary for the title of Rhythm Roundhouse! In the best way possible, this trybrid was stupid fun. Listening to it gave me an all-new appreciation for monitors that catered specifically to EDM and co. without a care in the world for the more serious genres. It proved there’s more to specialising in the former than just forcing a v-shape. And, it’s the first IEM in years to make me throw all concepts of correctness or naturalness out the window, head-bobbing and toe-tapping all the while. But, once you get past instant gratification, you begin to hear the keys to its success – coherence, headroom and a balance between clarity and body. It’s AAW’s most well-executed sig and their most audacious too. While everyone else has serious covered, AAW is here to serve fun on a silver platter. 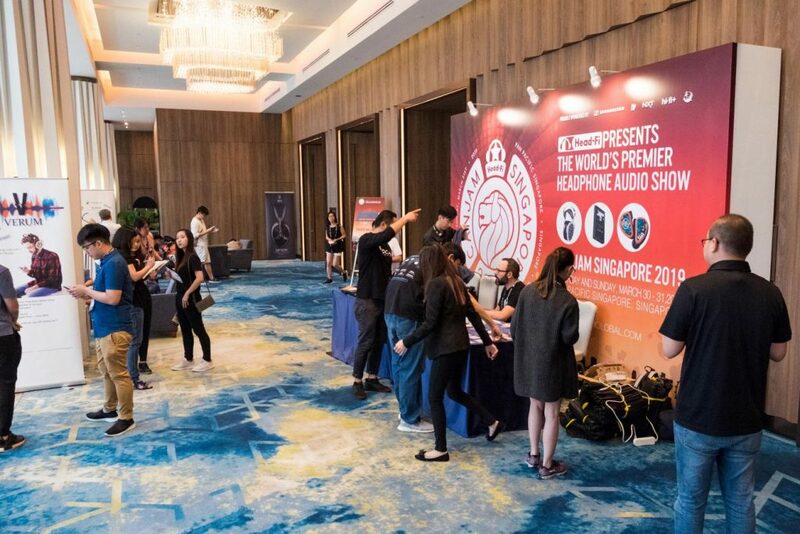 And, that concludes my CanJam Singapore 2019 show report! ‘See y’all next year, and have a good night.